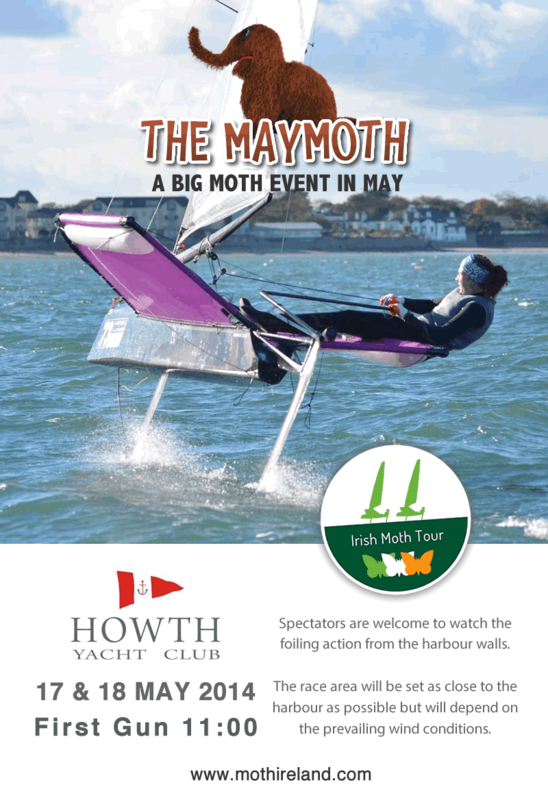 The Wexford man has set aside his love of strawberries, physics and hurling to focus on Moth sailing. Nobody is exactly sure what kind of boat he has, but it was definitely developed in the CERN laboratories and runs some Ninja foils. Chambers will be racing his Mach 2 for the last time before making the switch to the “Voodoo” moth, and his confidence is high. He was recently overheard impressing a middle aged woman in the NYC with tales of foil tacking 80% of the time every time. 49er sailor and “Made in Chelsea Star” Ryan has been putting in some medal performances recently on the Olympic circuit, but can he bring that form to the far more competitive Irish Moth Tour? Last time he came to Howth in his Mach 2 he won two races and has to be considered a contender this time around. She won the Olympic Radial Regatta in Lake Garda last weekend and has an unhealthy love for hiking. Annalise will be hoping to take the coveted tea pot back from coach Rory in her Mach 2 with the ridiculous pink tramps. The Howth local has taken the wheel of the Flying Scotsman’s bright blue Ninja and will be hoping it helps him to take some races from the Mach 2 brigade. He has a tendency to fall over a lot which could hold him back. Ben is taking time out from his busy schedule of telling people about his recent Ironman to race his Ninja. After four years of sailing literally every other Moth in Ireland dozens of times he has plenty of experience. Expect lots of attempted port tack flyers. Despite age catching up on the former Laser Olympian, Rory has been the fastest Moth in Ireland for a while now and won the Inland’s convincingly in his Mach 2. If he can dose his arthritic limbs with enough Cortisone he will be the man to beat. His Prowler is the most cared for boat in the fleet and is running some nice Mach 2 foils. The rumours are that he has been spending lots of time on the water as well, so he should be fast. The waves in Killiney bay have been a lot quieter since the proud southsider started mothing. His Velociraptor with Mach 2 foils should be fast, particularly if the wind blows. International Moth Class Association of Ireland. Picture Window theme. Powered by Blogger.